Properties in The Villages average 4.6 out of 5 stars. Just Bring Your Toothbrush & Golf Clubs! Property 4: Just Bring Your Toothbrush & Golf Clubs! Beautiful 2 Bdrm Patio Villa w/WiFi & Gas Golf Cart Included! Great Location! Property 6: Beautiful 2 Bdrm Patio Villa w/WiFi & Gas Golf Cart Included! Great Location! Peacefully Located 2/2 Villa w/BBQ Grill and FREE WiFI! ALL Pets Welcome! Property 9: Peacefully Located 2/2 Villa w/BBQ Grill and FREE WiFI! ALL Pets Welcome! Property 11: Now available May 1- 9, 2019 REDUCED! updated 2 Bed/1 Bath Villa & GOLF CART! Village of Duval Courtyard Villa with Golf Cart! Property 12: Village of Duval Courtyard Villa with Golf Cart! Beautifully decorated 2 Bdrm Villa w/Free Wi-Fi, Golf Cart & BBQ Included! Property 16: Beautifully decorated 2 Bdrm Villa w/Free Wi-Fi, Golf Cart & BBQ Included! AMAZING 3/2 Home w/Golf Cart, BBQ Grill, & FREE WiFi and Close to Pool! Property 17: AMAZING 3/2 Home w/Golf Cart, BBQ Grill, & FREE WiFi and Close to Pool! GREAT LOCATION. BETWEEN BROWNWOOD AND LAKE SUMTER. GAS GOLF CART INCLUDED. Property 19: GREAT LOCATION. BETWEEN BROWNWOOD AND LAKE SUMTER. GAS GOLF CART INCLUDED. NOW available May 15- 23, 2019 REDUCED! 2 bed/ 2 bath Villa & GOLF CART ! Property 20: NOW available May 15- 23, 2019 REDUCED! 2 bed/ 2 bath Villa & GOLF CART ! Location, Location, Location…Best Area To Enjoy Your Days In Paradise! Property 26: Location, Location, Location…Best Area To Enjoy Your Days In Paradise! Village of Glenbrook with gas golf cart! Property 27: Village of Glenbrook with gas golf cart! 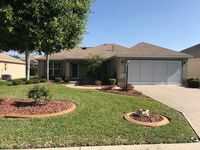 Comfortable Villages Villa near Lake Sumter - Golf Cart Incl. Property 31: Comfortable Villages Villa near Lake Sumter - Golf Cart Incl. Beautiful 2 Bdrm 2 Ba villa CAT & SM DOG FRIENDLY with Golf Cart & BBQ!! Property 33: Beautiful 2 Bdrm 2 Ba villa CAT & SM DOG FRIENDLY with Golf Cart & BBQ!! Beautiful 3 Bdrm 2 Ba home w/WiFi! Close to Brownwood & Recreation! Property 34: Beautiful 3 Bdrm 2 Ba home w/WiFi! Close to Brownwood & Recreation! Great Location! Professionally Decorated 2 Bdrm villa with WiFi included! Property 35: Great Location! Professionally Decorated 2 Bdrm villa with WiFi included! 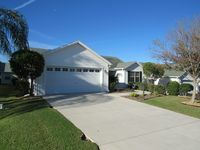 Beautiful 2 Bdrm 2 Ba home with WiFi & Golf Cart included! Close Recreation! Property 41: Beautiful 2 Bdrm 2 Ba home with WiFi & Golf Cart included! Close Recreation! WOW! Beautiful 2 Bdrm 2 Ba Villa w/WiFi! Close to Lake Sumter Landing! Property 42: WOW! Beautiful 2 Bdrm 2 Ba Villa w/WiFi! Close to Lake Sumter Landing! This house was very clean and comfortable for our week and half visit. Great northern location close to Spanish Springs and Lake Sumter. We especially enjoyed to use of the golf cart. We would stay here again.